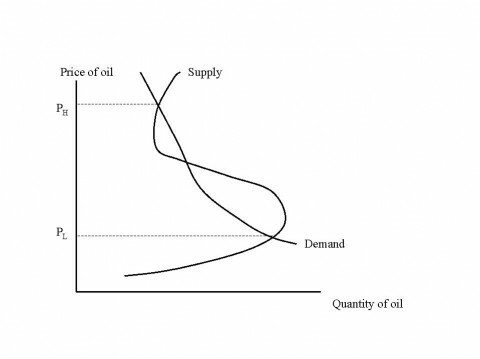 Back during the summer gas crisis, I mentioned that peak oil was an irrelevent concept because at high gasoline prices, the cost of substitutes approach the cost of gasoline. That is, the higher oil prices go, the relatively cheaper substitues appears, to the point that a rising price of oil increases the effective supply of products just-as-good as gasoline. Further, some of the rise in oil prices may have been speculation by oil producing countries. As Paul Krugman points out, the higher oil prices go, the more incentives oil-producing countries have not to pump oil. Venezuela’s ouptut slumped 25% in the run-up to the oil crisis, by the way. The cratering of oil prices may be a product not only of lower prices themselves (which increase incentives to pump oil), but also rising spending in oil-rich countries. Gulf Cooperation Council states need oil at about $50/barrel to pay for government spending, and a fall in oil prices naturally encourages them to either pump more or to cut back on spending. We have a deeply warped energy market, and a heavily subsidized transportation market. Those who argue to let ‘the market’ decide our energy policy are short-changing our futures to save some money in the present. My thanks to Calculated Risk for the excellent piece on oil that provided some of the links for this post, and to Coming Anarchy for a hilarious ad noting how oil has been running out for 30 years. As of this writing, a barrel of Texas Light Sweet crude would cost you $123.64, according to Bloomberg. This is down from the oil bull market price of $140 or so per barrel. Interestingly, this also the price that makes switchgrass ethanol (gasoline from tall prairie grass, corn husks, and so on) economical. Prices go up, prices go down. The only real concern regarding energy prices is that they support crummy states like Saudi Arabia, Iran, Venezuela, and Russia. The less market-oriented countries need to import oil, the less oil-rich countries can avoid market discipline by selling what they fond under their feet. As the auto production market adjusts to high prices, the long-term shift away from oil begins. Concepts like Ethanol Hybrid Electrics and other mindbending combinations approach the market, making peak oil a mute, meaningless and irrelevent concept. 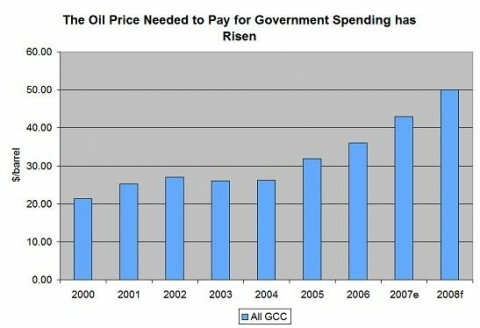 “The Other Culprit on High Oil Prices,” by Thomas Barnett, Thomas P.M. Barnett :: Weblog, 25 May 2005, http://www.thomaspmbarnett.com/weblog/archives2/001865.html. Another great front-page WSJ on the global oil markets, pointing out that after the rising demand of India and China and other emerging markets, the key culprit in persistently high prices today is the fact that global oil companies simply haven’t invested in refining capacity for years now. What’s interesting about this is that it’s really a self-fulfilling prophecy: the oil companies resist sinking the big bucks because they fear oil is receding in importance in coming years and decades as we shift to hydrogen (e.g., British Petroleum becomes Beyond Petroleum), and so by eschewing these investments, they create persistent high prices that accelerate that shift. Oil capitalism leading the shift away from oil. Nifty.